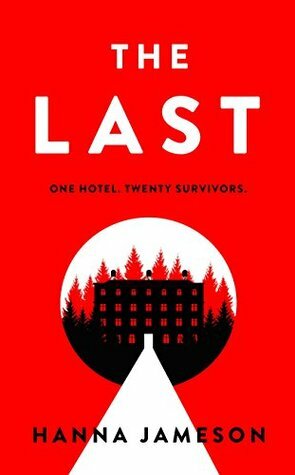 The apocalyptic book, The Last, by Hanna Jameson, is one of the most original, thought-provoking and believable I have read in a long, long time. Starting with an ending – the ending being that of the world as the lead character, historian Jon Keller attending a conference in Switzerland, knows it. Without giving you a chance to draw breath, Jameson plunges readers into the chaos, fear and uncertainty that governs the lives of those who survive a nuclear holocaust in the immediate aftermath. But rather than try and treat the end of the world in a large scale manner (as some writers have very successfully done – I am thinking particularly of Max Brooks’ (no relation) World War Z – it is dealt with as a microcosm. The reader experiences the results of catastrophic war and destruction of major cities around the globe and death of millions, and the surreality of life for a small, unrelated group as they try to take stock of the present and, indeed, the future, in a remote Swiss hotel. With the internet unavailable, last messages from loved ones sporadic or confusing, communication with the outside world is impossible and, as time passes and resources become scarce, not only do the survivors have to start to fan out and search for food and other necessities, but it swiftly becomes evident other survivors in the area are doing the same. Only, unlike the veneer of civility the remaining hotel guests are trying to maintain, these other people won’t hesitate to take what they want. But when Keller discovers a body in a water tank on the roof of the hotel, he swiftly understands that the threat he fears from outside could well be harboured within their sanctuary’s walls. What I loved about this book, apart from the originality of the setting and the way a not uncommon trope unfolded, was how Jameson forces the reader to question their ethics and morality. As Keller and other characters are faced with questions and forced into situations they’ve never before encountered, you find yourself asking “what would I do?” and aligning ourselves (or not) with different solutions and people. In this way, the book explores not only a series of fascinating ethical conundrums and invites some serious soul-searching, but it evokes an almost existential crisis – something that happens to the characters as well. My only minor gripe with the book was with the “crime” plot. I’m not sure it was even necessary at one level as the conclusion to that was strange to say the least. However, it didn’t detract from the overall meaningfulness of this book. Gripping, tense, deeply disturbing but also scarily plausible, this book was hard to put down and impossible to forget.